Benson Hill, or Benson Hill-Cascade is a neighborhood in Kent recently annexed into the city limits with a population of about 16,700 residents. Homes for sale here range from established to newly constructed single-family units and condos. The area is split between residential and commercial/office space zones. Kent has one of the largest downtown areas in Washington and is convenient to Seattle/Bellevue, SeaTac International Airport, Renton, and Federal Way. 3 Beds | 2 Baths | 2250 sq. Ft.
5 Beds | 2.5 Baths | 2641 sq. Ft.
4 Beds | 2.25 Baths | 2264 sq. Ft.
3 Beds | 2.5 Baths | 1553 sq. Ft.
4 Beds | 3.5 Baths | 2973 sq. Ft.
5 Beds | 3.5 Baths | 3083 sq. Ft.
4 Beds | 1.75 Baths | 1676 sq. Ft.
2 Beds | 1.5 Baths | 982 sq. Ft.
3 Beds | 2.25 Baths | 1360 sq. Ft.
2 Beds | 1.5 Baths | 950 sq. Ft.
3 Beds | 3 Baths | 3040 sq. Ft.
5 Beds | 3.25 Baths | 2823 sq. Ft.
5 Beds | 2.75 Baths | 3265 sq. Ft.
4 Beds | 2.75 Baths | 3071 sq. Ft.
5 Beds | 3.25 Baths | 4510 sq. Ft.
5 Beds | 3.5 Baths | 5160 sq. Ft.
Blue Summit Realty has the most accurate and up to date Benson Hill real estate listings on the web. Currently there are 24 homes for sale, 5 condos for sale, and 7 vacant land properties in Benson Hill. Of the 36 total Benson Hill residential listings for sale 0 are bank owned, 0 are short sales, 0 are new construction, and 0 are townhomes. The price ranges from $199,950 to $0 with a median list price of $568,908 and median sold price of $455,857. Make sure to refine your Benson Hill real estate search by property type, price, square footage, bedrooms, bathrooms and more with the search tool above or view the Benson Hill listings on our interactive map. 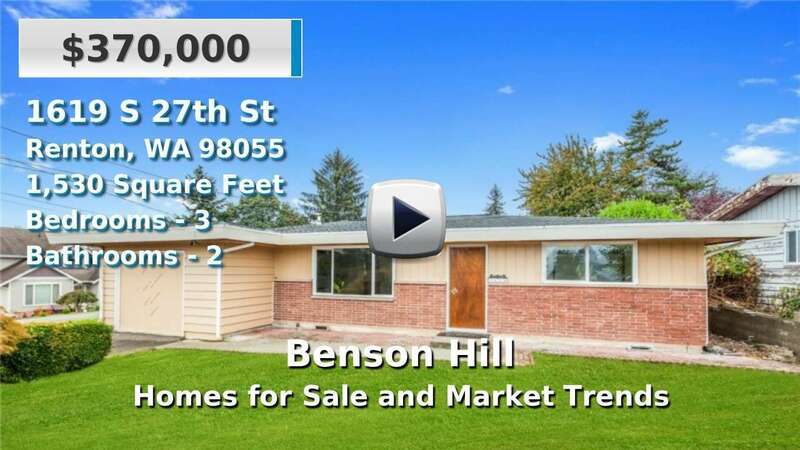 Our Benson Hill real estate listings were updated 12 minutes ago.